YWAM Together will be occurring from 2 – 8 September in Pattaya, Thailand. As a church Christ commanded us to “…go and make disciples of all nations, baptizing them in the name of the Father and of the Son and of the Holy Spirit, and teaching them to obey everything I have commanded you. And surely I am with you always, to the very end of the age.” This was recorded for us in Matthew 28:19-20. It’s now about 2000 years after Christ gave us that message, and the Church, meaning you and me, have still not gone into all the world. One thing that we have seen increasingly is that “The World” is coming to us in the forms of migration and refugees. Is this God’s way of bringing people to us, since we haven’t gone to them? Find out more on their web-site, globalgates.info. YWAM has continued to serve refugees all over the globe, working to meet their physical, emotional, and spiritual needs as God leads. 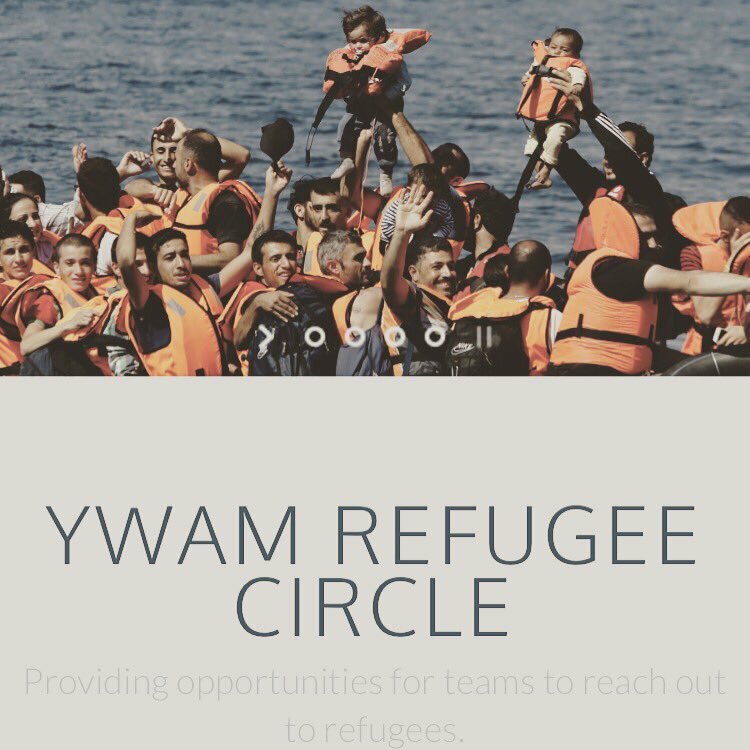 From April 23 – 26 in Athens, Greece the YWAM Refugee Circle will be getting together for the YWAM Refugee Circle Gathering – Athens 2018. During this gathering the participants will discuss what some of the next steps are in serving the refugees that are flowing into Europe. If you want to participate in this gathering you can register to attend through the web-site. One of the many ministries that YWAM is engaging in around the world is ministering in prisons. 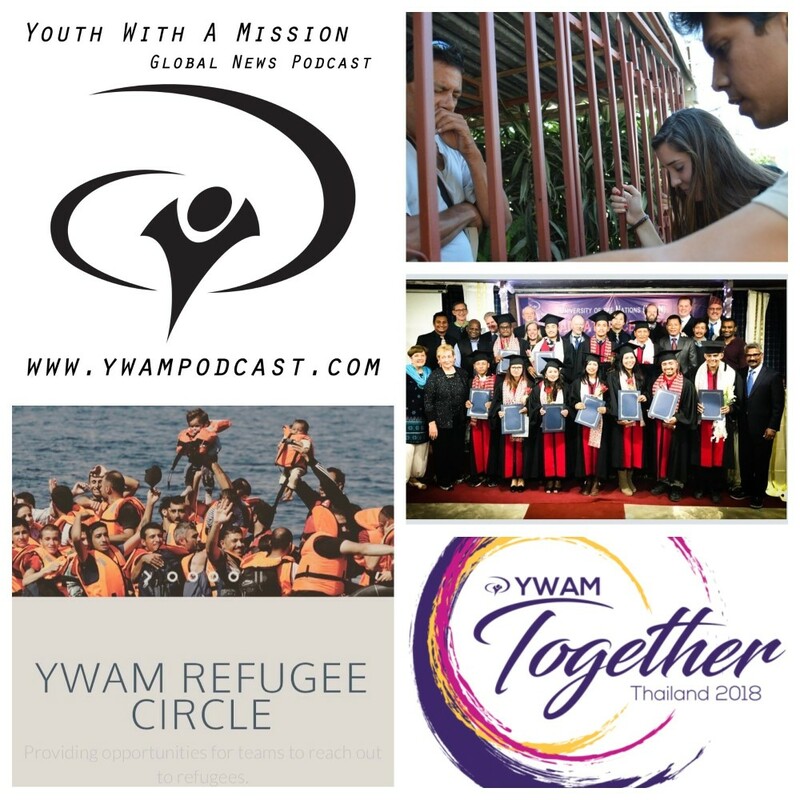 While looking at stories to share with you on this news show I read an inspiring story about a team from YWAM Tyler and their ministry into a prison in Mexico. … as I looked around at this man behind the bars, I realized this guy is a child of God too, and Christ loves him just the same! I no longer saw him as a threat or someone to fear; I just looked at him as a friend. Then my heart went even deeper hearing God ask me, “Would you switch places? Would you take his sentence and let him walk?” Without hesitating I responded, “Nope!” I then glanced over at an empty cell and realized Christ totally did that for me in an even bigger way! I wasn’t just in a cell with a sentence hanging over my head either, I was in hell with no hope at all . . . until Jesus came and rescued me! Amen!!! I’ll link to the full story in the show notes at ywampodcast.com/101, and if you have the time, I want to encourage you to take the time to read it. Check it out on the YWAM Tyler Blog, blog.ywamtyler.org. If getting involved with LifeRice is something that you want to know more about, or get involved with, check out their web-site, liferice.org. The ministry in Kampot has 3 classrooms, a church, dormitories, and a coconut oil business. You can find out more on their web-site, ydckampot.wordpress.com. I hope to feature more messages from Bevin and the crew at Globalcast Resources on future episodes of the YWAM News Show, and you can find more for yourself at their web-site, globalcastresources.com. YWAM Lausanne is running their events management seminar in May, with a follow up outreach to the Montreux Jazz Music festival. Find out more on the YWAM Lausanne web-site. During the course you can look at topics such as advanced photography techniques, Biblical creativity, storying techniques, and editing for photojournalism. The course runs from April 1 – August 17, and you can find out more at the YWAM Orlando website. The course is run from April 3 – June 22, and you can find out more on the YWAM Goldcoast website. YWAM Bethlehem in New Zealand is running the Transformational Development School from July 2 – September 14 of this year. The idea behind the Transformational Development School is to help you develop the tools to facilitate transformation in the area of influence that God has placed you in. It’s a community development school that seeks to provide training in a biblical approach to community transformation for all spheres of society, both poor and non-poor. If this is something that might interest you, you can find out more at the YWAM Bethlehem web-site, ywambethlehem.co.nz. 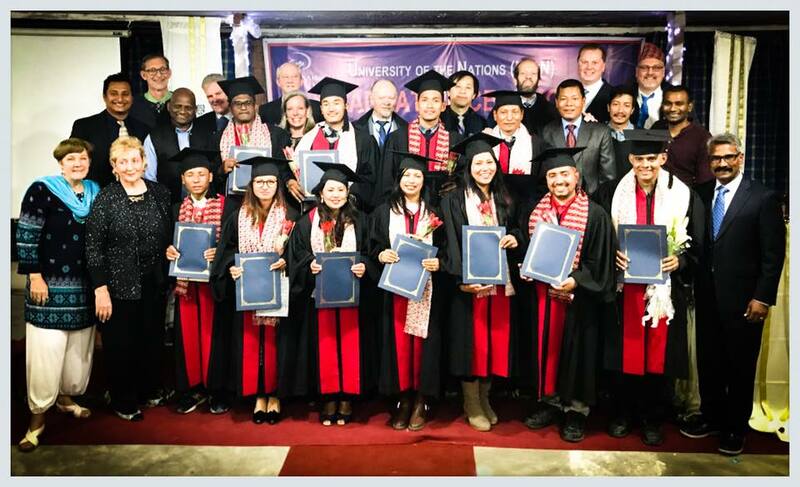 This week we also a historic first-ever University of the Nations (UofN) graduation in Nepal with 11 graduates. It’s very exciting to hear about the people there growing in their faith and knowledge, and also to see my friends Jiggu Bogi and Terry Sherman involved in it.